What does the main offer include? 3. Many resistance levels for beginner to advanced users. 5. Extensive exercise guide with over 50 exercises and workout tips. 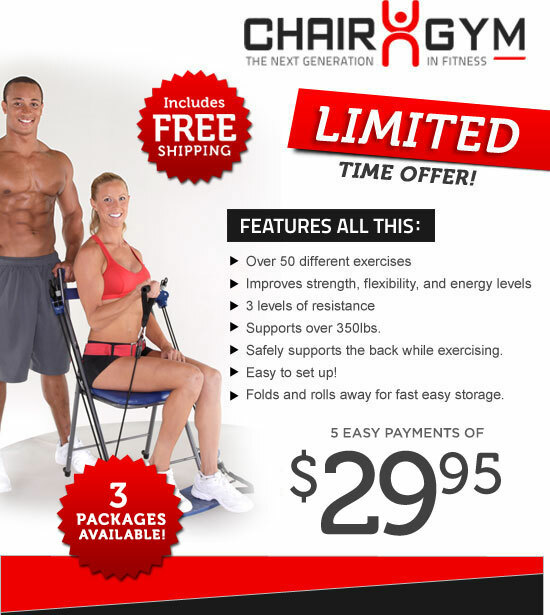 This is a revolutionary new workout system that allows you to target many different muscle groups—all while sitting in a chair! Plus, you’ll also receive the instructional video, 10 minute workout DVD, nutritional guide and exercise guide at no extra charge. This system uses excellent back and neck support plus resistance technology to give you the most effective workout.